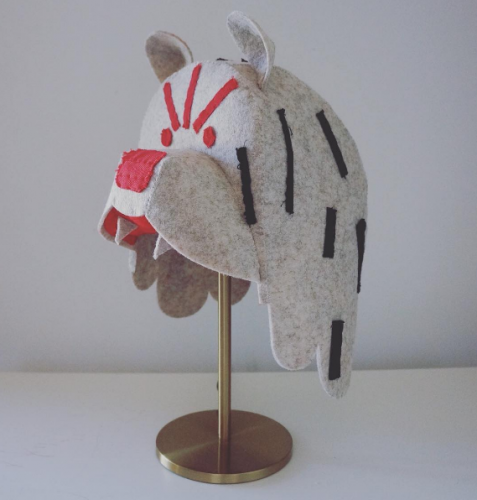 Grizzly Bear felt Hat by Myo Yim! Let Monkey Monkey Shake Shake show you how to channel your inner Grizzly Bear! Work with MMSS artist and costumier Myo Yim, and take home your own Grizzly Bear-Feltskin hat! Perfect for those chilly mornings in the Shire Hinterland! Adults and kids can work on a hat as a team or pair, multiple persons can work on a hat. We recommend this approach particularly if you have young kids (under 8). It’s more fun that way! All materials supplied and bear-hat pieces are pre-cut and ready for assemblage and decorating. Assistance and guidance will be provided by workshops hosts. This workshop is suitable for all crafty adults and children at any level of experience, but children under 8 will be best served working with an adult or older child as a team. Afternoon tea - Grizzly Bear Picnic! This workshop will be limited to 25 Grizzly Bear Hat places. Please book now as places are limited.